The preferred airport for Pointe Estero Beach Resort is Fort Myers, FL (RSW-Southwest Florida Intl.). 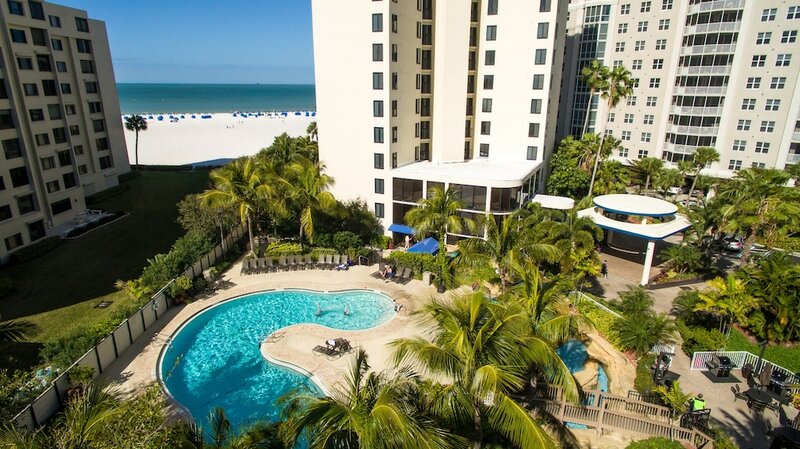 When you stay at Pointe Estero Beach Resort in Fort Myers Beach, you'll be on the beach, a 4-minute drive from Lovers Key State Park and 7 minutes from Times Square. 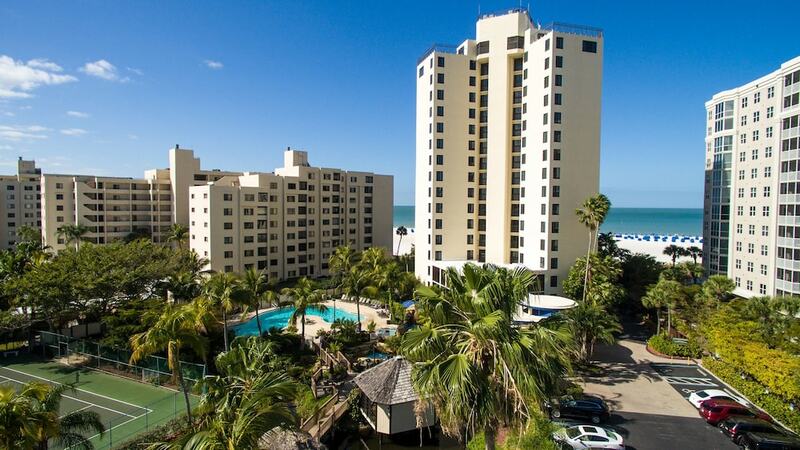 This beach hotel is 9.6 mi (15.5 km) from Barefoot Beach and 4.4 mi (7 km) from Fishing Pier Fort Myers Beach. Make yourself at home in one of the 60 air-conditioned rooms featuring kitchens with full-sized refrigerators/freezers and stovetops. Your pillowtop bed comes with premium bedding, and all rooms are furnished with sofa beds. Rooms have private furnished balconies. Flat-screen televisions with cable programming are provided for your entertainment, with wired and wireless Internet access available for a surcharge. Don't miss out on the many recreational opportunities, including an outdoor pool, an outdoor tennis court, and a fitness center. Additional features at this hotel include wireless Internet access (surcharge), gift shops/newsstands, and wedding services. Featured amenities include a computer station, express check-out, and multilingual staff. Self parking (subject to charges) is available onsite.